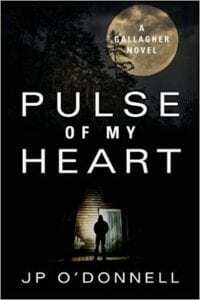 FQ: To begin, would you give readers a sneak peek so to speak inside the latest novel, Pulse of My Heart, and how the idea came into being? O'DONNELL: At the end of my previous Gallagher novel, Deadly Codes, the relationship between Gallagher and Kate appears to have ended. Was it over, or merely "on hold?" Many of my readers wanted to know and sent emails and messages asking me to write a sequel. I also spoke to a book club where a woman asked me what type of books I thought I was writing. Of course, I answered, "Mystery Thrillers." She shook her head and said, "No...what you are writing in the Gallagher series is a love story. The relationship between Gallagher and Kate is what drives your novels." This response made me realize that a sequel emphasizing the rekindling of their relationship could really work. FQ: Along those lines, with writing a series and the work that goes into always having the character develop with each new title, readers like to know if the author of a series knows ahead of time what they’re going to write. Can you tell readers if, when you first began the Gallagher series, you knew this was a character who would remain for more than one book? And, if you did, was there already an outline of sorts in your mind for what the character would do next? 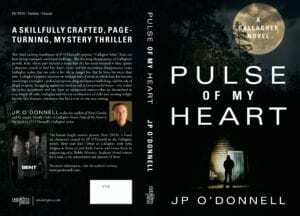 O'DONNELL: Yes, when I first conceived the idea of writing a novel, I knew it was important to create a main character that readers would find compelling. From the beginning, Gallagher had to be the man that every guy wanted to be, and also the man that every woman wanted to be with. No doubt that Gallagher has his own set of faults---he drinks way too much coffee, and, yes, at times way too much scotch--- but he possesses a unique combination of compassion, skills and toughness that help him to not only solve cases, but to escape the danger that inevitably follows him. After I saw the positive response to Gallagher in Fatal Gamble, I knew I had a character that had "legs" and I spun him off again in Deadly Codes. In fact, Gallagher's persona in Deadly Codes and the characters/story of that novel served as the basis for the feature motion picture, Bent (2018) that was released in March and is now available on video on demand and DVD. The film stars Karl Urban, Sofia Vergara, Andy Garcia and Grace Byers. It was a thrill for me to be on the set and watch the characters I created come to life on the screen. For each of my Gallagher novels, my outline was fairly simple: I wrote the first chapter and the last chapter. Then I "connected the dots" to get from Chapter One to the ending. FQ: Are you currently crafting, or interested in crafting, in the future another series character? O'DONNELL: At this time I have switched gears a bit and am finishing a series of children's bedtime stories. My background as a career pediatric dentist gave me the wonderful opportunity to interact with children on a daily basis and find ways to put them at ease during their dental visits. As my grandchildren came along (now 7, 4 and 2), I began making up stories to help them fall asleep at night when they visited us. They enjoyed these stories so much, our daughter asked me to record one of them so she could play it at home. This gave me the idea to consider publishing an illustrated children's story book. I hope to have the first one available within the next year. But, don't worry...I do have an idea for a fourth book in the Gallagher series. Here's a hint: Does something happen to Norman? FQ: On the opposite side of the fence, are you interested in creating a standalone that you wish to share information about? O'DONNELL: See below about my children's books. FQ: If you were asked who, perhaps, are/is your favorite detective(s) in the world of fiction, what would you say, and what about them appeals to you as a reader? O'DONNELL: No doubt on this question...it's Spenser from the Robert Parker series. Having lived in the Boston area for most of my career, I enjoyed the references to locations and places I knew so well. But, most of all, it was Spenser's cunning and cleverness, and his interactions with his sidekick, Hawk, that made the series so enjoyable. FQ: What writer would you love to sit down and have dinner with, even if you could go back in time to sit with one who is no longer with us, and what question would you love for them to answer? O'DONNELL: I have to give two answers on this one: Robert Parker, of course, and Harlan Coben. I include Harlan Coben for two main reasons: he is the master of "the great first line" that gets you hooked within a few seconds, as well as riveting stories (e.g. Tell No One, Gone for Good, etc.) that keep you turning the pages long into the night. I met him briefly at a book signing years ago and found him to be a very friendly, nice person who offered encouragement to me to keep writing. FQ: Is there a specific genre you have always wanted to write in that you haven’t tackled as of yet? O'DONNELL: See above: Children's Stories. FQ: Beginning and building a writing career is a tough job, yet you have done it perfectly. Is there a piece of advice you could give to up-and-comers that you have learned during building your career? Perhaps advice on one thing they should do and one thing they need to avoid? O'DONNELL: First of all, write because you enjoy it. You must be able to please yourself before you can expect to please other readers. Secondly, if you have aspirations to publish your work, don't rely on your close friends and family to give you an objective critique of your writing. They love you and will not want to hurt your feelings with harsh criticism. Instead, seek out a professional writer/editor who can offer an honest evaluation of your writing and suggestions on how it can be improved. There are a number of book review sites, including the Feathered Quill, that, for a reasonable fee, will provide a fair and accurate assessment of your work. FQ: What are your feelings in regards to utilizing social media and whether or not it offers enough positive effects to help a writer achieve fans/followers? O'DONNELL: I believe social media can be a valuable tool to help an author, particularly one who is self-published, achieve a wider audience of followers. This is a new venue for all of us, and I am still learning all of the nuances involved. In the coming months, I hope to expand my use of social media to make more readers aware of my Gallagher trilogy.